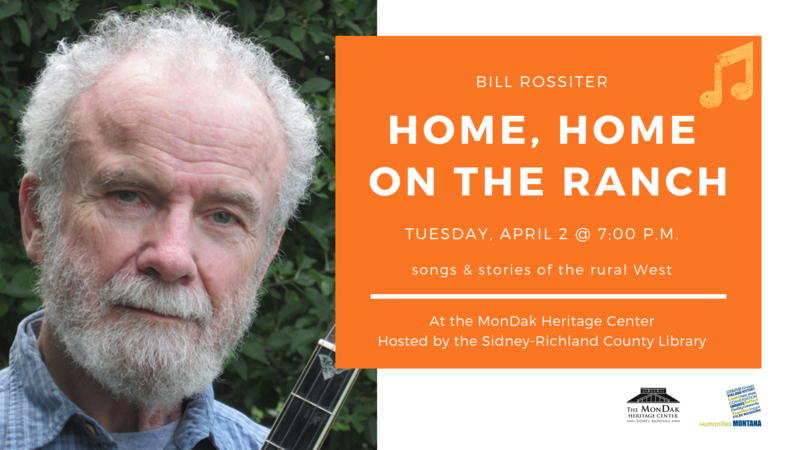 The Sidney-Richland County Library presents Home, Home on the Ranch by Bill Rossiter at the MonDak Heritage Center on Tuesday, April 2 at 7:00 p.m. 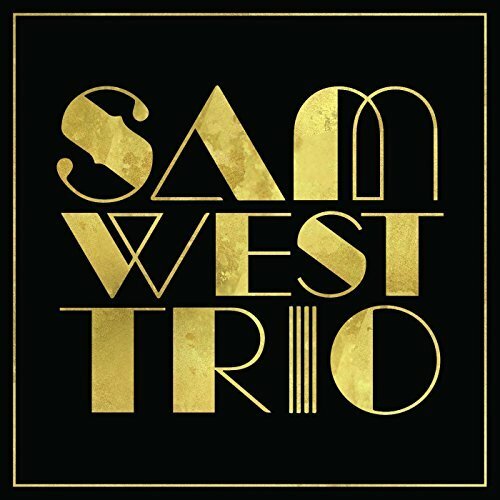 This musical presentation details the values, experiences, humor and tragedies unique to building a life in the rural West. Carving a home out of the high plains wilderness was tough enough, but these songs and stories—some serious, some funny, some seriously funny—show that staying for the long haul added flint to the soul. 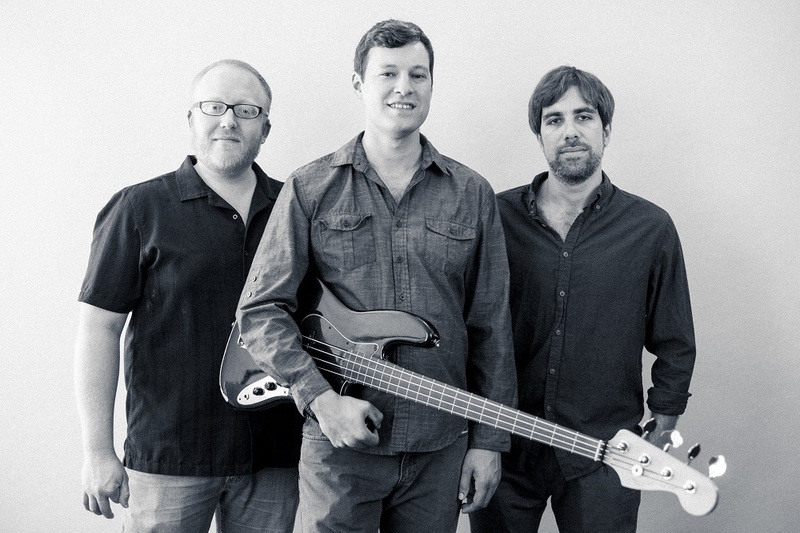 Rossiter accompanies the songs with guitar, banjo, autoharp, and harmonica. He encourages audience members to share personal or family stories about life on the range. 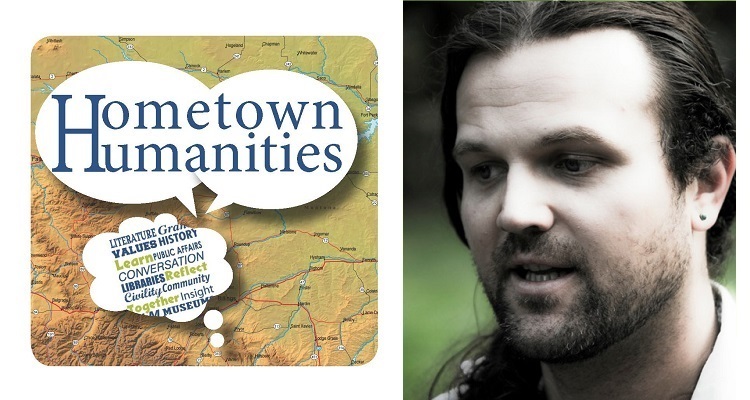 The program is free to the public, thanks in part to Humanities Montana and their Montana Conversations program.